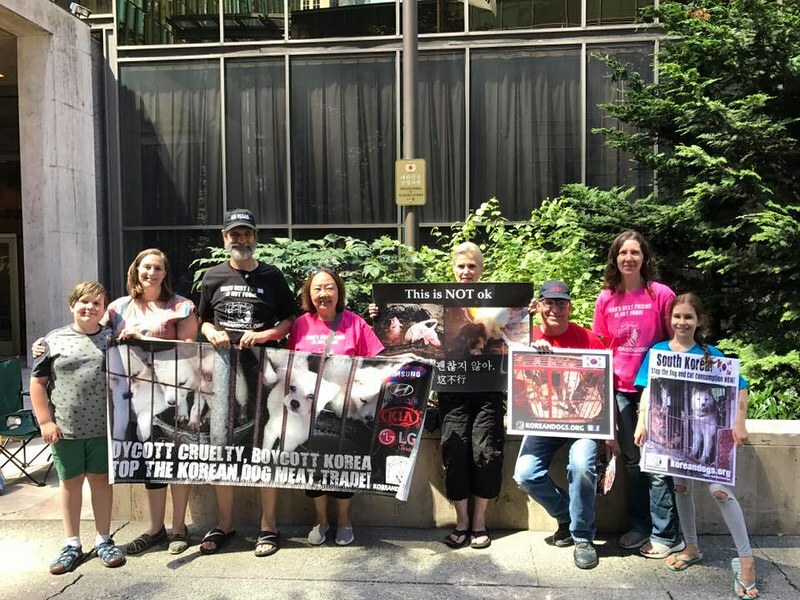 We are very grateful to Stephanie and Peter Holman for organizing and Ollie, Victoria, Sylvia, Ilsa, Bill, and Elissa who came and helped out at the Day 2 demonstrations on July 27 in Seattle. 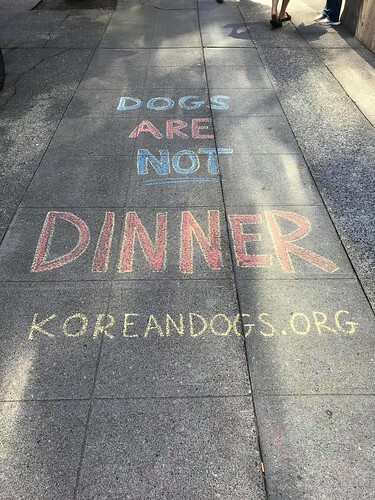 They demonstrated outside the South Korean Consulate, to let the government know how strongly we abhor their indifference to the mass cruelty and suffering inflicted on sentient animals within the dog and cat meat trade. We also object to the failure of the South Korean government to bring about an end to this evil trade that profits from the suffering of animals. 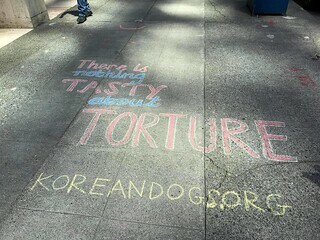 They were able to hand out about many leaflets and had conversations with people about the horrors of the dog meat trade going on in South Korea. They also held up a banner for cars and buses going by to see. All of these actions helped spread awareness. Please watch the message from Stephanie’s live Facebook post. We hope to have more folks joining the Holmans at the Day 3 demonstration on August 16. If you are in the Seattle area, please join us. If you are not in Seattle, don’t worry. You can still participate and show your support by joining our Phone Blitz. Click HERE for learn more. 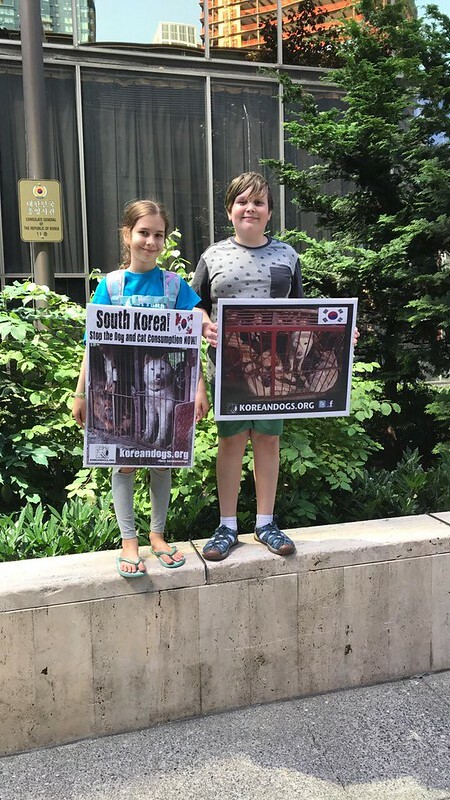 Photo: Elissa and Ollie speaking out for the Korean dogs and cats. Thank you!